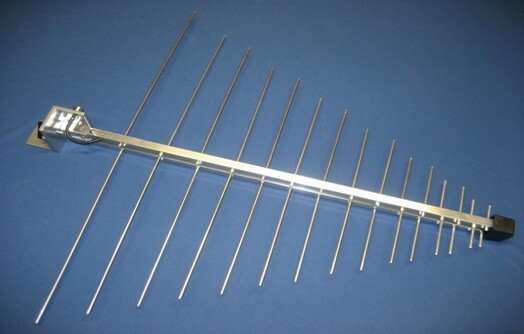 The CE1000E log periodic antenna is a broadband antenna suitable for use in the frequency range 250 to 1000 MHz. The antenna is manufactured from aluminium and is ultra light weight. The mounting position is located at the rear of the antenna via a ¼” thread into the supplied swivel bracket. The antenna is supplied with typical calibration factors for 1 and 3 metre distances. Individual calibration factors (1 metre and/or 3 metre distances) can be supplied as an option.